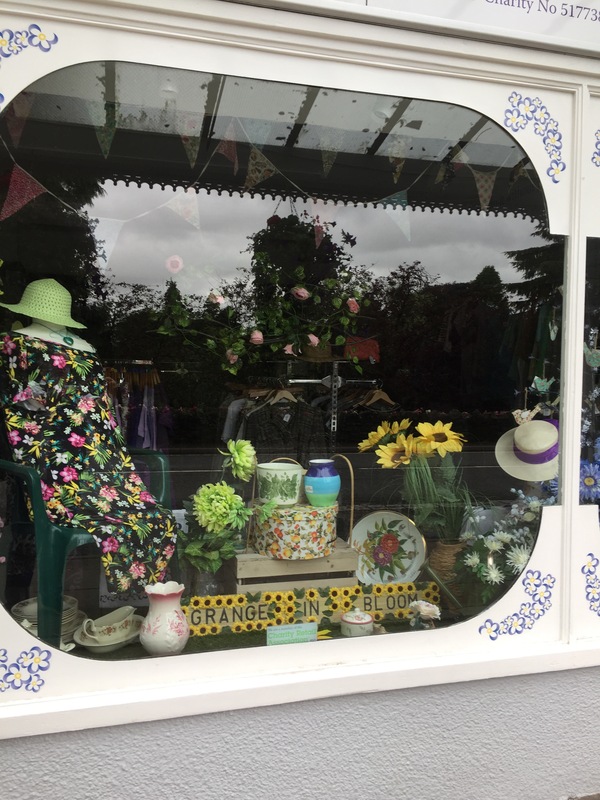 Grange in bloom…you need look no further than Grange shop window…it’s an amazing array of colours and an absolute pleasure to see. 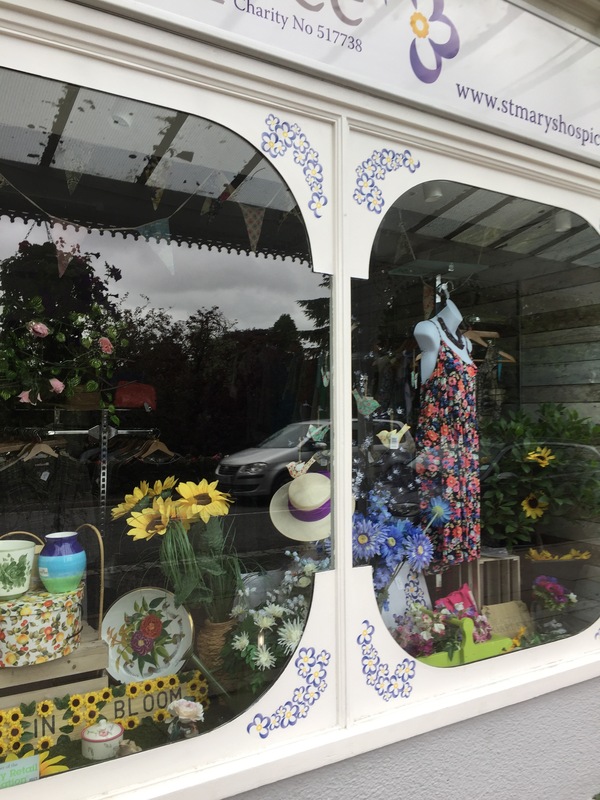 I’ve been to the shop today and I’m not surprised that the comments box is brimming over with glowing customer feedback…Grange team you have surpassed all expectations…blooming fabulous! So…7.30am ready for work…Grange today, looking forward to seeing Linzi and her team. I put my bag in the car…turn the key in the ignition…engine turns over but doesn’t fire up…hmm not good! Over the next half hour I keep trying but it’s not happening…luckily the garage is just around the corner…I drop off the car key and head to the train station…nothing’s going to stop me getting to Grange today…after all I’m still on the hunt for eBay treasure. Sitting on the train…enjoying the beautiful scenery…checking off my to do list and writing this blog. No traffic jams…no roadworks or detours…there are some benefits to travelling by train. It’s been a busy week…I’ve visited all the shops…what treasure I’ve found! The warehouse on Wednesday…a giant Russian telescope…it certainly got my interest! Just seeing the large box was enough to get me thinking…wondering what was inside…opening the lid and seeing the telescope…it was definitely a WOW moment! They wouldn’t let me take the telescope for eBay…they’re still researching it, but they did give me some interesting bits and pieces, including 2 Beatles records…we’ll soon have them listed in our eBay shop! I called in at Dalton next and picked up a doctor’s stethoscope and some new shoes from Carol…more stock for eBay! Millom on Thursday and June had a pile of treasures waiting for me…including an old accordion…its a little bit rusted but has the original case…definitely eBay material! It rattled around my car boot and made a strange kind of music all the way back to Barrow…not the most tuneful if I’m honest…but I’m sure in the right hands it will sound better! Only 153 Sleeps Until Christmas! I know…I’m sorry…you really don’t want to be thinking about Christmas when the kids have just broken up for their Summer holidays…but I can’t help it…Trish and I have been knee deep in Christmas cards all afternoon…counting them…making sure we have the right numbers…designs for each shop…how can you not feel festive? The designs this year are so good…I’m not exaggerating…I’m almost scared to give you a sneak preview…I know you’re going to want to buy them right now! I do have a particular favourite…which I can’t resist showing you! How gorgeous is this card…I don’t think it will take long to sell out! Cards and diaries will be available to buy very soon, in the shops and online. The warehouse (and our other shops) are always on the lookout for good quality donations. The warehouse can take a range of items from furniture to children’s toys and the staff are always happy to help…you just need to pop in or give them a call. Sometimes the warehouse has to turn down a donation…depending on condition and popularity…they’ll always let you know why. 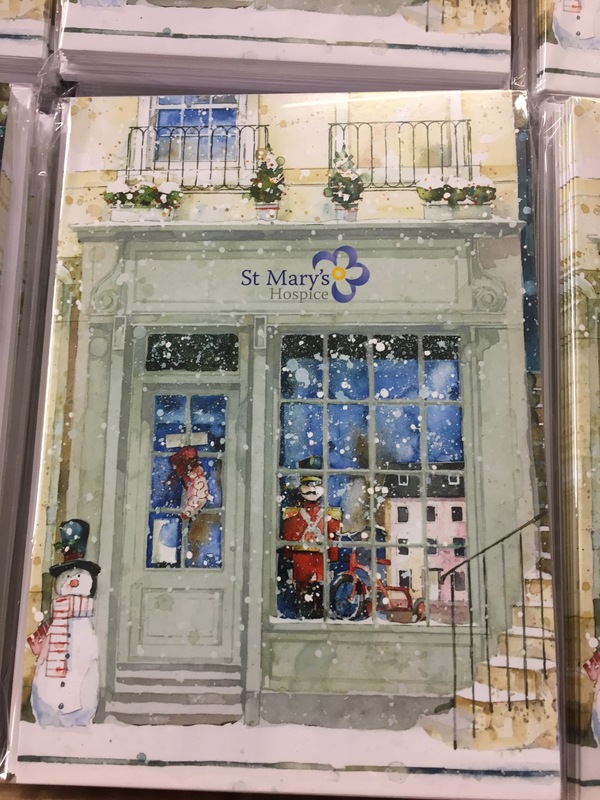 You can contact the warehouse direct on 01229 824830 to discuss any donation you may have or leave them a message on their Facebook page…St Mary’s Hospice Furniture Warehouse. If you have donations of books, clothes (for our shops) or toys you can call 07541359881 and Trish will arrange for the smaller retail van to pick them up. If you’re in the area you could just call in and have a chat with one of the team…maybe pick up a bargain whilst you’re there. There always seems to be a buzz of excitement…from staff…volunteers and customers…we’re all excited! 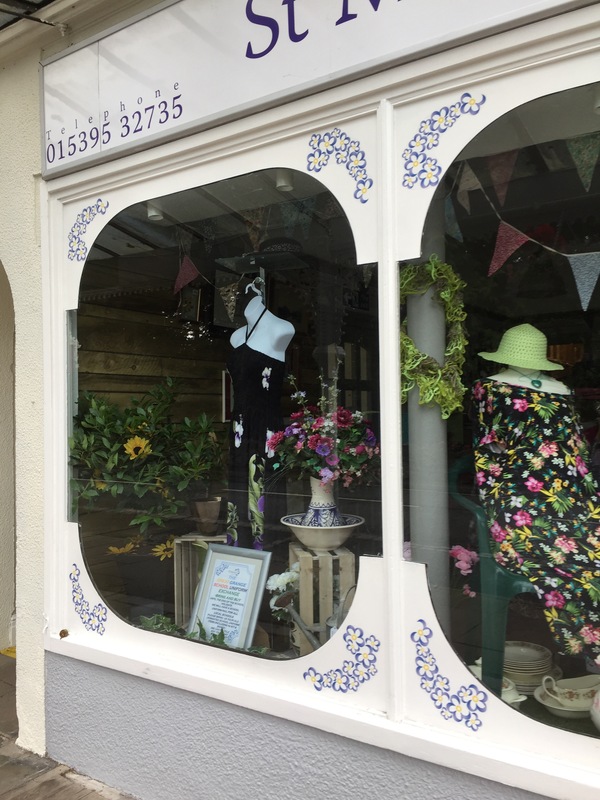 For staff and volunteers I think the pleasure is in the whole selling experience…which has totally changed since moving premises. They see an opportunity to do great things. The customer…I think their excitement is twofold…the improved warehouse, increased stock but the same great prices…and the knowledge that a range of hospice services are going to have a home in Barrow…it’s great news. Despite the storm…the damage to the shop…Thursday was a great day…the number of people who stopped by to see how we were doing…find out when we would be open again…it was amazing. I mean…we know we have regular customers…but to see how important we were to them…how much they care…it was lovely. So…I really just wanted to say ‘Thank You’ to all our wonderful customers who care so much…we care too…about you…the shop and the hospice. Never stop caring…the world needs more of that.